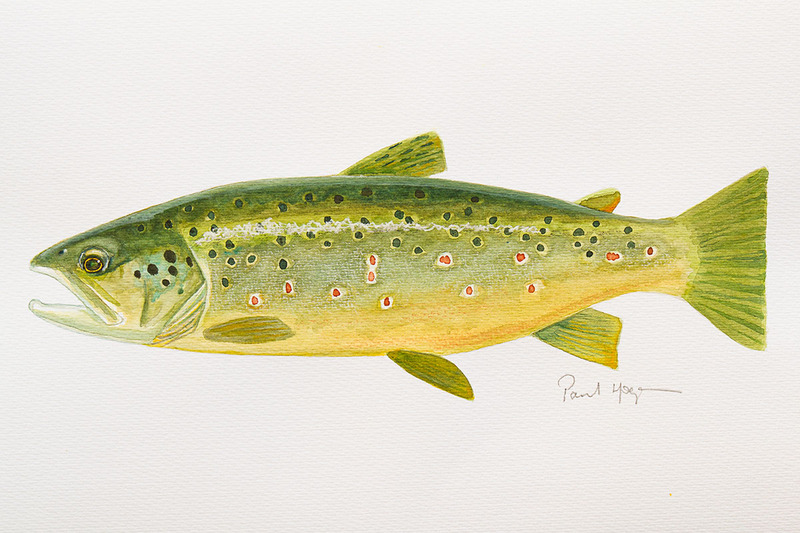 For some time I had been hoping to make a painting of the lovely brown trout my pal Mark McCann caught up in the Lough in Leitrim that we simply call the “Mountain Lough.” And, finally, I have completed it after several false starts and the usual distractions. Over the years we have taken quite a few trout from this little lough. They are beautiful fish and spirited fighters but they don´t generally grow to any size. 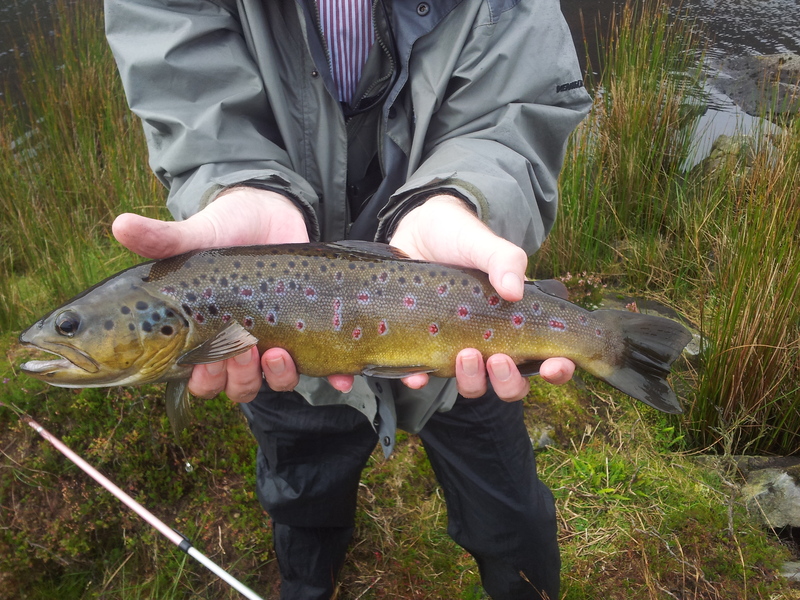 The fish that Mark took on a wet fly was, by some margin, the biggest we have taken. Unfortunately I was not on hand to see it for myself but used the photograph sent to me by my brother Sean, as a model for the painting. Here is a photograph of the watercolour which was kindly taken for me by my friend Geoff Lawrence as well as the picture of Mark and his fine trout.